Special newborn babies may benefit from donations of warm knitted and crocheted clothing. This is a guide about donating items to NICU babies. Interested in helping make "welcome bags"? Looking around on this site, and other crafting boards inspired me. Well from that inspiration, an idea was born. So here is my idea; you see a lot of different people/organizations that make handcrafted items for preemies and full-term babies that have to stay in NICU, which don't get me wrong is a great thing. Well I got to thinking back to when I had both of my children who didn't need to be in the NICU, thank goodness, they were both healthy babies. New moms usually get the basic plain diaper bag that let's face it most of us do not use. I got to thinking about the idea of making "welcome bags" for the new mommies and their newest addition(s) to their families. I thought about including a diaper bag, diaper/wipe holder, burp cloths, receiving blanket, etc. in these "welcome bags". What's a better way to welcome these newest bundles of joy into the world but a handcrafted "welcome bag"? New moms with healthy babies are usually "forgotten" about, and some new moms do not have the means to do much of anything, if at all, special for their new babies. My mom is passing down her sewing machine to me since she recently purchased a new one, so I thought I would put it to good use and try to get this idea of mine going. I am currently in the process of contacting different fabric retailers/distributors/companies to see if they would be willing to donate fabric to make these "welcome bags" a reality. So far I have gotten 1 yes from a company, and still waiting to hear back from a bunch more. If you live in the middle Tennessee area, or for that matter anywhere in Tennessee, and would like to help in this endeavor, please let me know. If you do not sew, and want to help in other ways, be it knitting, crocheting or even donating fabrics/other materials to make the "welcome bags", please feel free to contact me. I would love to see this idea really take off. I am wanting to do some knitting for any special care unit for babies. And I am not too sure what types of wool would be best, ie: DK or 4ply wool, for the special tiny babies. And also I would like to know if you have any addresses I could use to send these cardigans & hats to. I just need help with where to send them to. Which would be best tor me as I live in Skelmersdale, Lancashire area. Thank you for your reply. I hope you can help me on this. Regards. You are an angel for doing this, first and foremost. That said, wool is non washable so acrylic is always best. Babies are often sick when they are smaller, and you need something soft and washable. Baby yarn is soft and thinner, so you can always look at that as a way to save time and money, making more for the time and money you have to invest. If you are looking for somewhere in your country, I googled "prenatal hospitals in England" and got many to choose from so follow this link and you should have no problems. 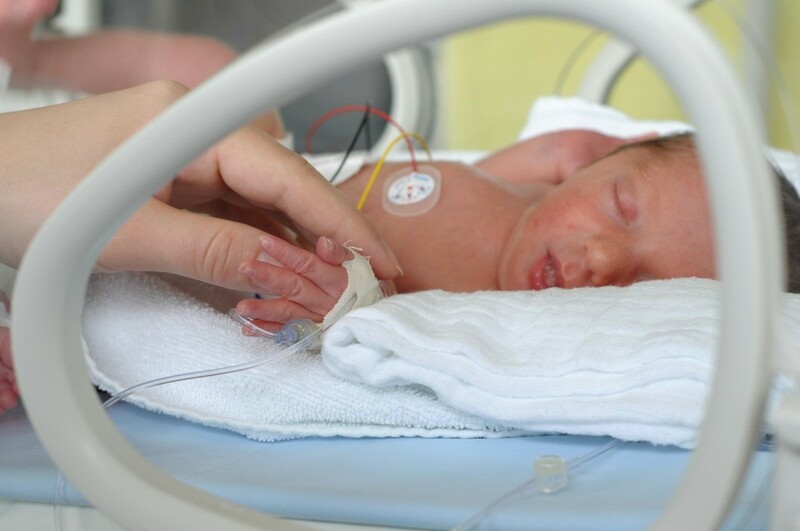 Also, preemies are often so small that a standard blankie doesn't work. Here in Oregon, we make them 12" by 12" and that also works, sadly, when these angels die soon after or before birth. Cardigans might not be worth the work, as they are too small or sick to put their little arms in. Hats and blankies are the ticket. This lady does some nice work, and the patterns are free. I sure hope this has helped.